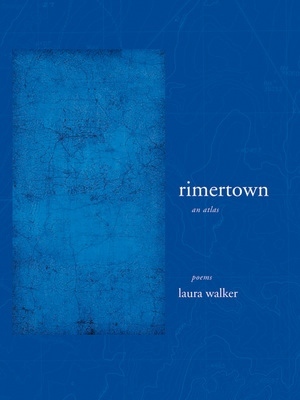 A poetic charting of Laura Walker's rural, southern hometown, Rimertown/an atlas delves into the startling landscapes created by the passage of time through people and through place; it is an atlas born of image and voice. Composed of four interwoven strands—a collection of "maps," a collection of "stories," a series of vernacular prose poems, and a fractured narrative—the volume explores various geographies: of the physical world, of the intersection of natural and peopled landscapes, of the passage of time, of leaving and returning, of human relationships, of soldiers and war. Walker asks: how is "home" carried in memory, in landscape, in story, in time? Her poems break and merge, stitching and fragmenting narrative, syntax, and image as they push toward their own geography, "a fever doll, tapered song/ engineered into dusk/ hold the watery stream, its buck and clanging." Laura Walker teaches creative writing at San Francisco State University and UC Berkeley Extension. She is author of swarm lure.